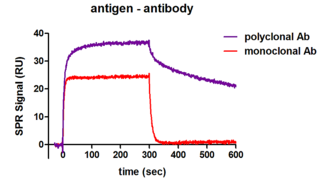 The figure shows the interaction of an analyte in solution with its respective ligand immobilised on the sensor surface. 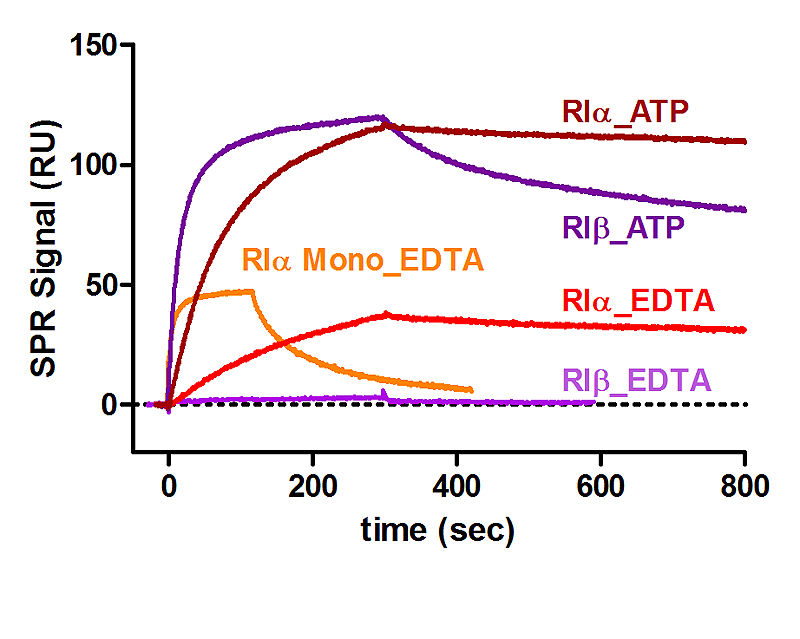 Dissociation was initiated by switching to running buffer. 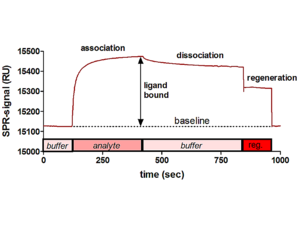 Since the dissociation rate is slow the surface has to be regenerated with an appropriate elution buffer disrupting the complex. 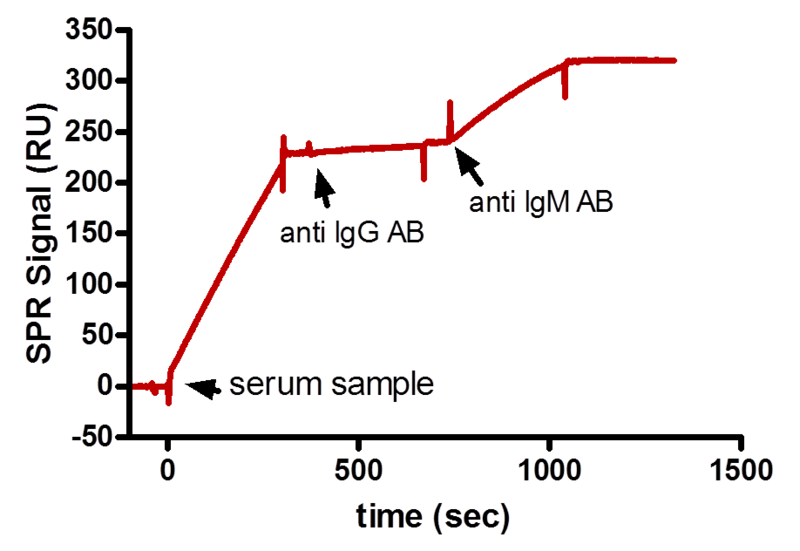 In this case the regeneration is complete and does not affect the binding activity of the immobilised ligand. 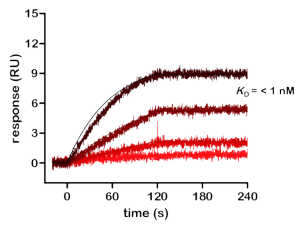 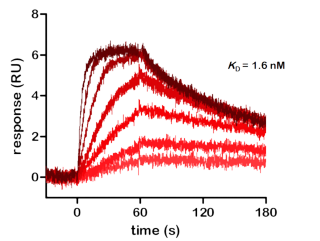 kass = 1.5 x106 M-1 s-1; kdiss = 7.6 x 10-4 s-1; KD = 0.5 nM In the absence of ATP/Mg in a running buffer containing ETDA, PKA changes its conformation from a closed to an open state, resulting in a completely different binding kinetics for PKI. 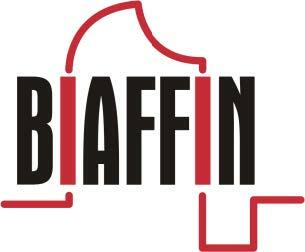 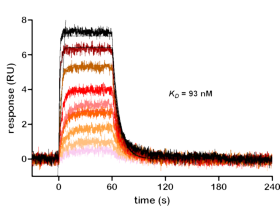 Here the binding affinity is lowered by a factor of 720 to KD = 360 nM. 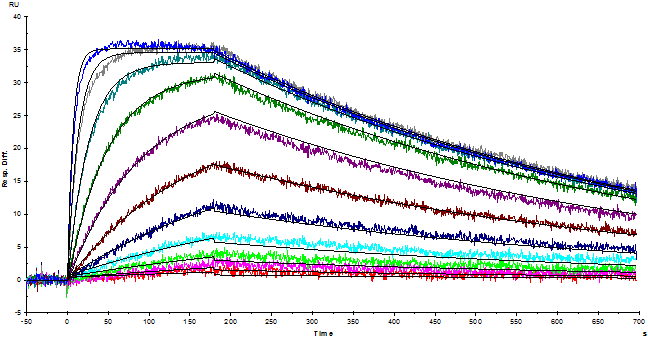 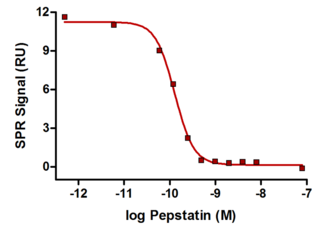 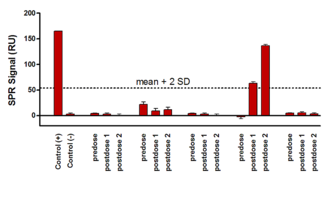 The solution competition assay of cathepsin D with the protease inhibitor reveals an EC50 = 0.1 nM. 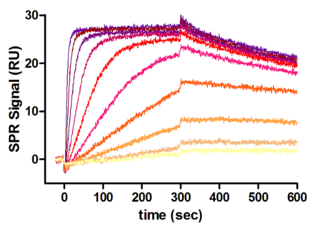 Real-time kinetic analysis of general kinase inhibitor staurosporine binding to PKA Cα using surface plasmon resonance. 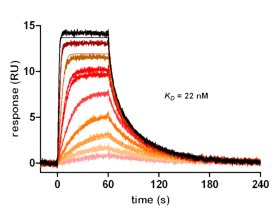 Real-time kinetic analysis of kinase inhibitor Dasatinib binding to LYN using surface plasmon resonance. 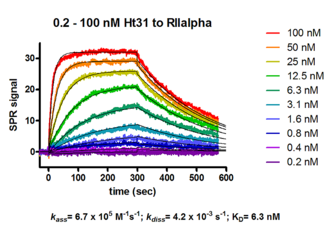 Real-time kinetic analysis of kinase inhibitor SB203580 binding to p38α (left) and p38β (right) using surface plasmon resonance.